Vital records for Holmes County, Ohio can be accessed through the Holmes County Health Department. If you wish to get further information on how to obtain marriage records, birth records and death records, you can visit the Holmes County Health Department website at http://www.co.holmes.oh.us/holmes_death_certificates/. However, if you are looking for an alternative way to get vital records, you can make a request online through VitalChek http://www.vitalchek.com. This website offers services to those who would like to make an online request for certified copies of birth and death certificates. 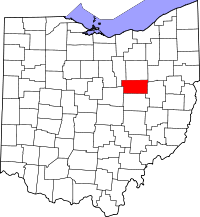 Another source for getting direction on how to obtain vital records from Holmes County is the Ohio Office of Vital Statistics http://www.odh.ohio.gov/vitalstatistics/vitalstats.aspx.